I had the most amazing spinach artichoke dip...two years ago. That's right. Two years ago on New Year's Eve I had a delicious dip and decided to make a vegetarian burger based on it. I even bought the can of artichoke hearts and it sat in my kitchen cabinet untouched as I came up with other recipes to create. I finally decided to get to work to create the spinach artichoke dip burger (I bought a new can of artichokes). I have to say, I think it was worth the wait. The flavors and textures of the burger are so delicious. The patty itself is filled with spinach, artichoke, roasted garlic and onion, chickpeas, brown rice and of course, cheese! Parmesan cheese is throughout the patty and the whole thing is stuffed with cream cheese. The cream cheese will be melted and as you bite into it the cheesy white sauce blends with the cream cheese and creates a dip like bliss. The key to achieving a great texture in these is to remove as much moisture as possible from the ingredients. That means we roast the chickpeas, squeeze all the liquid from the spinach and pat dry the artichoke hearts. It's very important to do these things or your patty won't hold its form. 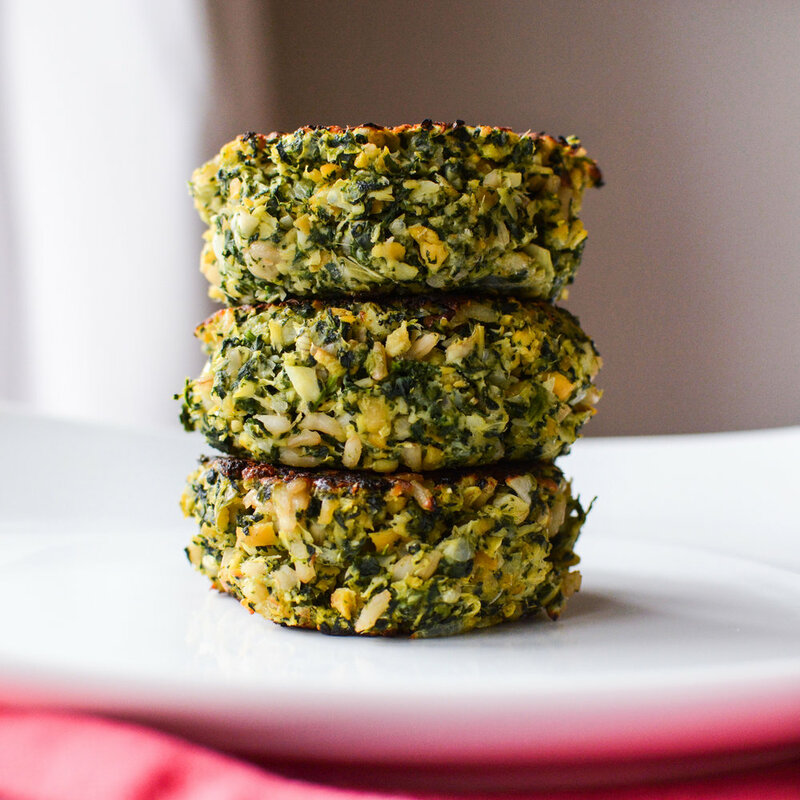 A veggie burger inspired by spinach artichoke dip made with spinach, artichoke, roasted garlic and onion, chickpeas, brown rice and of course, cheese!